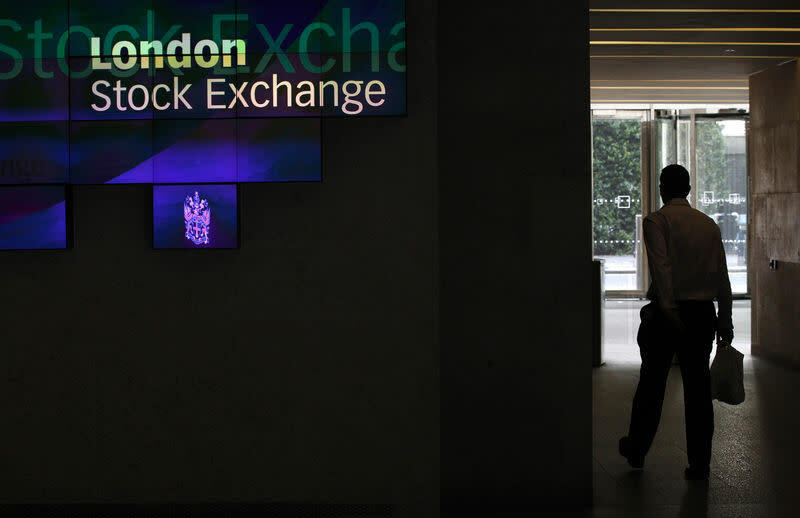 (Reuters) - British blue-chip names bounced back on Monday buoyed by strength in bank and consumer shares, while a stronger dollar lifted companies with greater international exposure as a fresh round of Sino-U.S. trade talks commenced. The main index added 0.8 percent while midcaps were up 1 percent, after ending lower on Friday as fresh concerns over the Sino-U.S. trade situation added to fears of a slowdown in the world economy. Among mid-caps, the biggest boost came from takeaway group Just Eat, which climbed 4.4 percent after its shareholder Cat Rock Capital Management urged the company to start merger talks and said it would benefit from a deal rather than relying on a new chief executive officer. Among a handful of losers was Smith & Nephew which slid 3 percent after the Financial Times reported that it has held talks to buy U.S.-based medical equipment maker NuVasive in a deal that would be worth more than $3 billion. Small-cap KCOM rose 6.1 percent after the Telegraph reported that Virgin Media was considering a takeover bid, while logistics firm Connect Group rose 3 percent on a contract with Daily Mirror publisher Reach Plc.